Welcome to the Sawtooth National Forest! 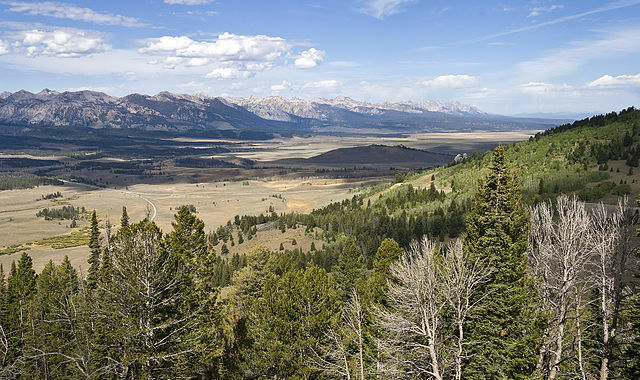 The Sawtooth National Forest is a very special place here in the heart of Idaho. Four mountain ranges, five rivers, 1000 lakes, and 756,000 acres of high mountain beauty. What does that add up to for you? An huge, lovely, wild land in which to hike, fish, hunt, mountain bike, ride a horse, climb, sightsee, paddle, camp, and visit with the native critters. Looking for inspiration, professional guidance and priceless Idaho information? Start with our vacation planner so we can match you to our travel advisor that suits you best. We’ll listen to your dreams, offer valuable solutions and vacation options. You’ll have fun and enjoy our savvy innovation. 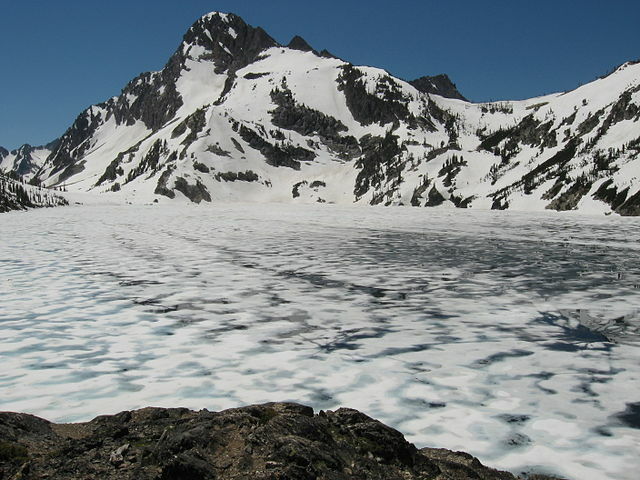 Campgrounds are clustered around the large lakes, and scattered through the mountains. 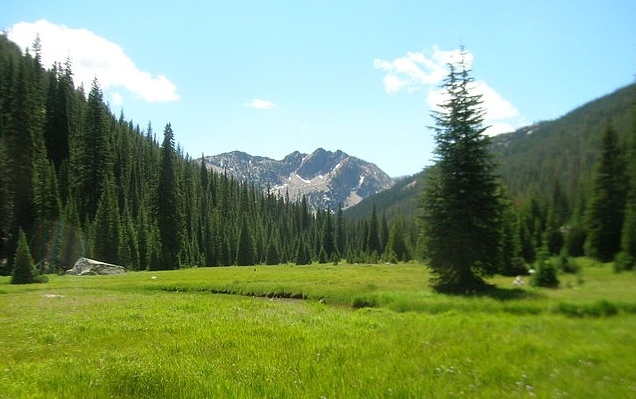 If you wish to sleep in a more solitary area, a multitude of trails enter the Sawtooth Wilderness and backcountry areas in the White Cloud Mountains. In the winter time, cross-country skiing, snowmobiling, and ice fishing all prove to be effective against cases of cabin fever. Fishing for many game fish, including native trout, salmon, and steelhead. Legged inhabitants include mountain goats, deer, elk, antelope, bear, mountain lion, upland game birds, and waterfowl. 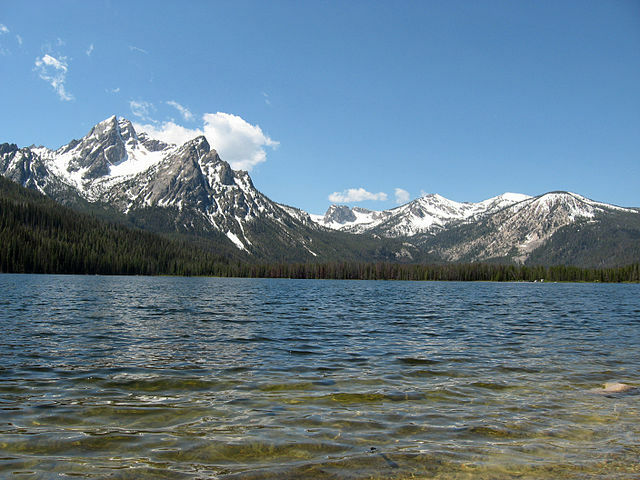 The Sawtooth National Recreation Area is located in central Idaho, about 85 miles north of Twin Falls in the Sawtooth National Forest. Sun Valley Ski Resort:Â In addition to mountains, the area contains hundreds of high alpine lakes, some large enough for boating, and the headwaters of four area rivers including the Salmon. A PLAYGROUND FOR ALL SEASONS Amid the splendor of the Sawtooth Mountains, Stanley is an unforgettable playground for all seasons. 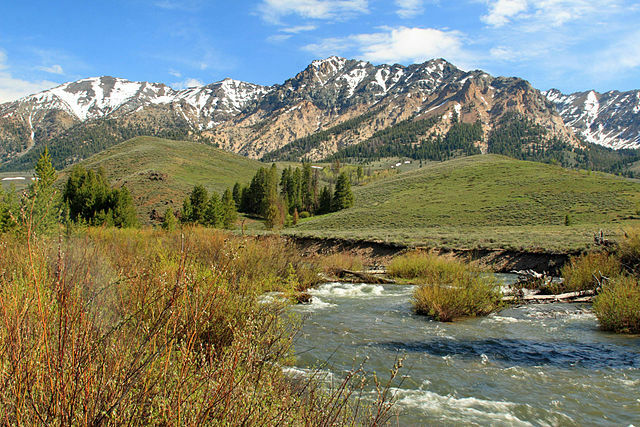 See it during a day of fishing, biking, rafting, hiking, climbing, skiing, or sledding. Feel it while soaking in a natural hotspring after a nature walk, visiting a ghost town or historic museum, reading a favorite book by the lake, or skiing through a quiet winter wonderland. Sense the wonder, watching Chinook salmon return home after swimming 900 miles to their birthplace beneath the peaks, or viewing wildlife in meadows full of wildflowers. See it on foot, on skis, on horseback, from your snowmobile, kayak, or car. But don’t miss it! FALL As the aspen leaves turn red and gold, many visitors come to take advantage of reduced lodging rates, uncrowded trails in the Sawtooth and White Cloud Mountains, crisp mornings and golden afternoons for quieter, more leisurely vacations. The days of autumn are ideal for hiking, climbing, photography, fishing, hunting, boating, scenic air tours, or simply enjoying the autumn colors. WINTER The Sawtooth valley becomes a winter wonderland as the valleys sparkle in a carpet of white powder and incredibly blue skies. Stanley and the Sawtooth Valley offer outstanding recreational opportunities for the winter enthusiast. Activities include snowmobiling, cross country skiing, hut skiing, snowshoeing and ski mountaineering, wildlife viewing, sightseeing, and photography. SPRING During the spring Stanley is blessed with the annual arrival of our famous Salmon River Steelhead ocean-going rainbow trout which many call the region’s premier game fish. These spectacular and colorful fish return to local streams after spending an average of two years in the Pacific, growing to over two feet long. Just seeing these fish is unforgettable; lucky fishermen see them close at hand. In late spring, the valley is carpeted with an endless variety of wildflowers. Wildlife abounds, with elk herds often visible in the open meadows throughout the valley. The snowy peaks and green valleys offer outstanding opportunities for photographers in May and early June, while rafters and kayakers begin riding whitewater rapids of the Main and Middle Forks of the Salmon River. For many of these activities, equipment rentals are available locally, and local expert outfitters and guides can provide completely outfitted excursions. SUMMER Stanley is unforgettable during the summer a breathtakingly beautiful time of year and our busiest season. Special occasions are celebrated, families get reacquainted, and memories are made. This awesome mountain paradise provides unsurpassed experiences in outdoor recreation of all kinds. Stanley has it all: fishing, rafting and floating, kayaking, biking, swimming, water skiing, sailboarding, hiking, climbing, horseback riding, scenic flights, trails for ATVs and motorcycles, ghost towns and museums. Enjoy lunch on the deck, climb to a peak, run Shotgun Rapids, cast flies for rainbow trout, have a quiet dinner by the lake, or sit next to the Salmon River and let the water sing you to sleep.